Today, I woke up at 3:30am, packed up my equipment, had a nice breakfast in the warm mess tent, and began climbing the glacier to ABC. 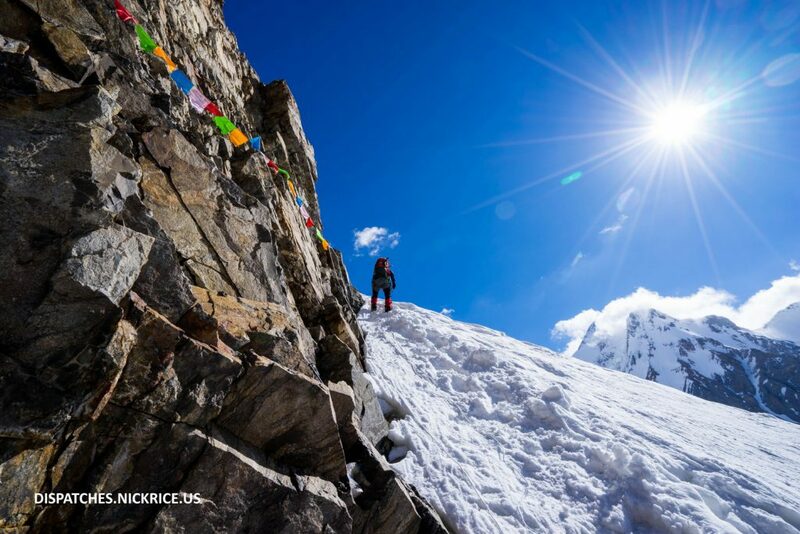 The route from base camp to ABC is quite boring as it skirts the base of K2. That said, the mountain gave a spectacular show, with winds blasting the higher camps as the sun hit the peak. I also had the privilege of seeing fresh snow leopard prints on the glacier. 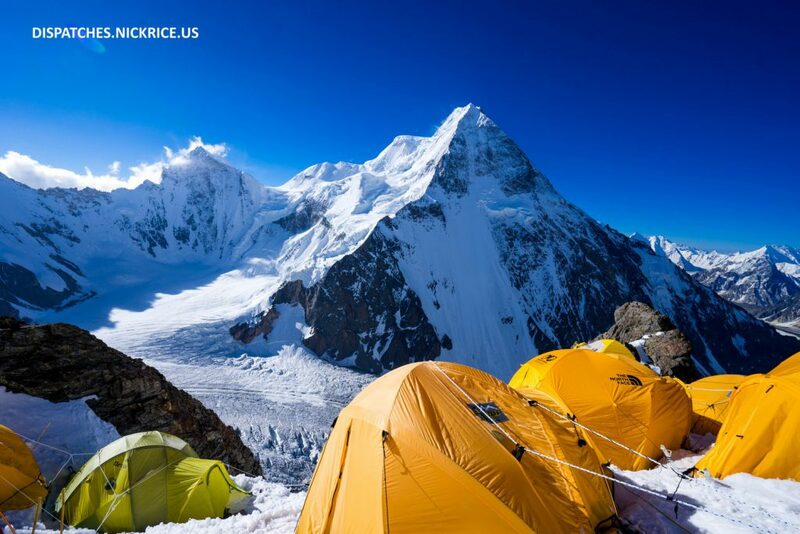 I arrived in good time to ABC, put on my crampons and harness, and began climbing up the steep slopes to Camp I. The day was cloudy, which made for enjoyable climbing. Though winds were visibly blasting the upper flanks of the mountains, I only had to contend with a light breeze on my way to Camp I. Having departed one day after the commercial expeditions, I only had to worry about a few climbers who were descending on the fixed lines. I made good time to Camp I, arriving in just 5 hours, and settled in for the evening. The only other person in Camp I was one of Vanessa’s Sherpas, who was quite friendly. We chatted for a bit then went to sleep as the sun set and the temperature dropped.